Be the first to share your favorite memory, photo or story of Nolan. This memorial page is dedicated for family, friends and future generations to celebrate the life of their loved one. Nolan E. Smith, age 82, Woodward farmer and rancher lived south of Fargo, passed away Monday, December 3, 2018. Funeral services will be held at 2:00 pm Thursday, December 6, 2018 in the Billings Funeral Home Chapel with Reverend Junior Zollinger officiating. Burial will follow in the Fargo Cemetery. Nolan Enoch Smith was born on December 2, 1936 in Shattuck, Oklahoma the son of Paul Robert and Maggie Frances (Donley) Smith. Nolan grew up on the family farm south of Fargo, which was founded by his family in 1910 and 2010 was celebrated as Oklahoma Centennial Farm. Nolan attended school in Fargo, and graduated from Fargo High School in 1954. Nolan ran a custom harvest crew for a few summers and worked as a roughneck in the winter. 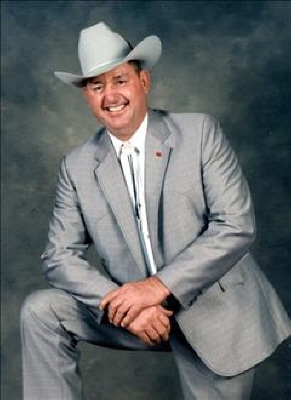 Nolanâ€™s passion was farming and ranching. His cattle and wheat operation were his biggest joy. Nolan was united in marriage to his sweetheart, Dorothy on September 24, 1961. To this union two children were born, son Darrell Wayne and daughter, Vonda Kay. The farm and ranch was a family operation and his two granddaughters, Megan Gilchrist and Morgan Phillips were grandpaâ€™s helpers. Nolan enjoyed watching his granddaughters play in their sporting events. He was preceded in death by his parents, Paul and Francis (Donley) Smith, one infant brother, Allen Keith Smith, one brother Harold Smith, one sister, Dorothy Mae Straughn and one brother-in-law Donnie Pittman; and daughter-in-law, Kathleen Smith. Nolan is survived by his wife Dorothy of the home; one son Darrell and one daughter Vonda, both of Fargo; granddaughter Megan Gilchrist and husband Trey of Enid, granddaughter Morgan Phillips of Fargo; sister, Deloris Pittman of Gage; brother Gordon Smith and wife Deanna of Madison, Kansas; several nieces and nephews and friends. Memorial contributions may be made to the Fargo Public Schools with the funeral home accepting the contributions. To send flowers or a remembrance gift to the family of Nolan Enoch Smith, please visit our Tribute Store. "Email Address" would like to share the life celebration of Nolan Enoch Smith. Click on the "link" to go to share a favorite memory or leave a condolence message for the family.